This image is a study in patience at the edge of the sea. I waited on the ice as the Arctic sun dipped below the horizon and the molten gold of sunset saturated the twilight. 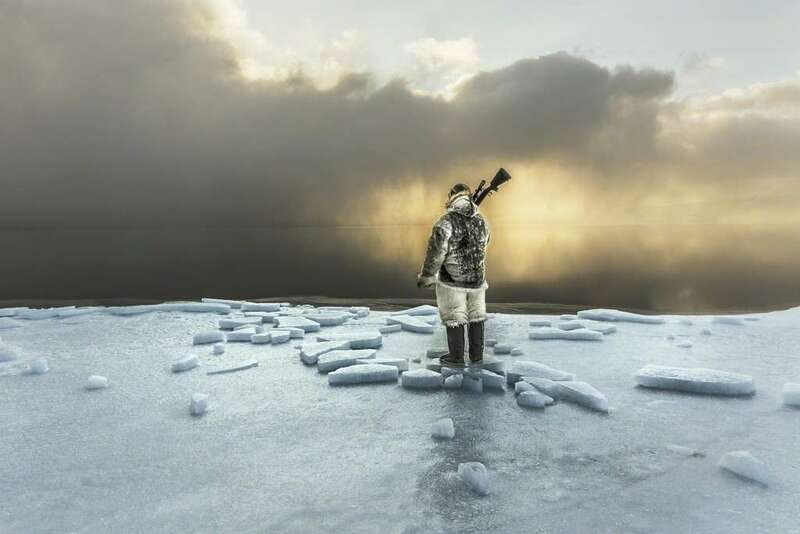 Knowing that his dogs and his village depend on his aim, Naimanngitsoq Kristiansen, a traditional Inuit hunter, also kept his patient watch, waiting for harp seals or walrus to come near.